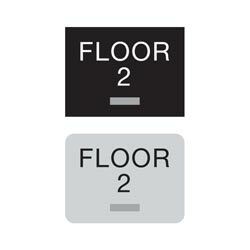 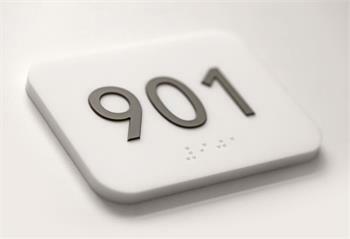 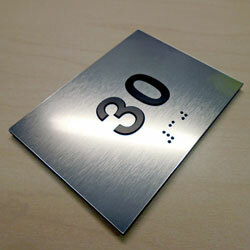 4"W x 3"H custom braille room number signs on a rich, 1/8" thick substrate with raised text. ADA-compliant and great looking, these signs aren't just fit for high-end hotels, they are also a great sign solution for marking doors in apartments, hospitals, clinics, and schools. 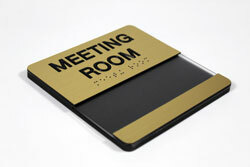 Each sign includes 1/32" tactile (raised) text and corresponding clear grade 2 braille beads to meet ADA braille signage requirements. 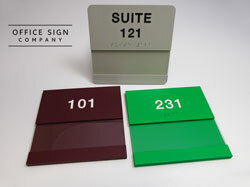 If you require a custom size, shape or color, contact the best customer service team around - by via e-mail at service@officesigncompany.com or via phone at (701) 526-3835 with all of your details. 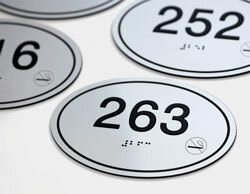 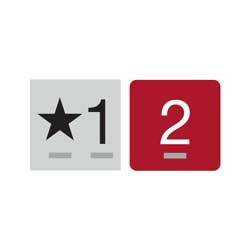 Quantity Discounts Available by choosing size below - order more signs andsave.